Took a Detour on the Commute! 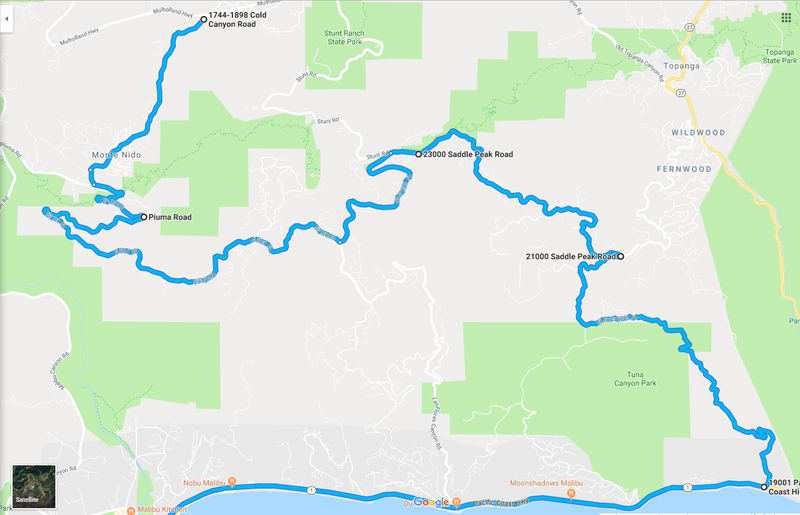 Cold Canyon Road, Piuma Road, Saddle Peak Road, and Tuna Canyon Road. This represented about a half hour detour but was totally worth it! One of the wildest stretches I have driven through Malibu before. And to top it off with a long cruise down the PCH in perfect morning weather, makes for a great start to the day. Days like this are why I am reminded that I love my Miata. I drove the Subaru to work the first three days of the week and continued to observe how much of a better car it is. It handles just as well as the Miata but has double the power. And it is infinitely more practical. BUUUUUUT, it just doesnt elicit the same stupid smile the Miata can get on a ridiculously tight road with the top down! !